The United Kingdom is a desirable destination for many Nigerians. But how much does a UK visa cost? What are the UK visa fees in Nigeria? Find out about this and more in our article. We will tell you about the most recent UK visa fees, as well as about the place where you can get more information on the subject. Check it out! Go to visa-fees.homeoffice.gov.uk.From the list of countries, choose Nigeria.Choose the visa category that is relevant for your needs.Choose the type of visa you need to find out about the fee. Alternatively, choose Show all to see the fees for all the visas from your selected category. That is all you need to do to if you want to find the fees for UK visas. It is the most convenient and quick way to find exactly what you need. 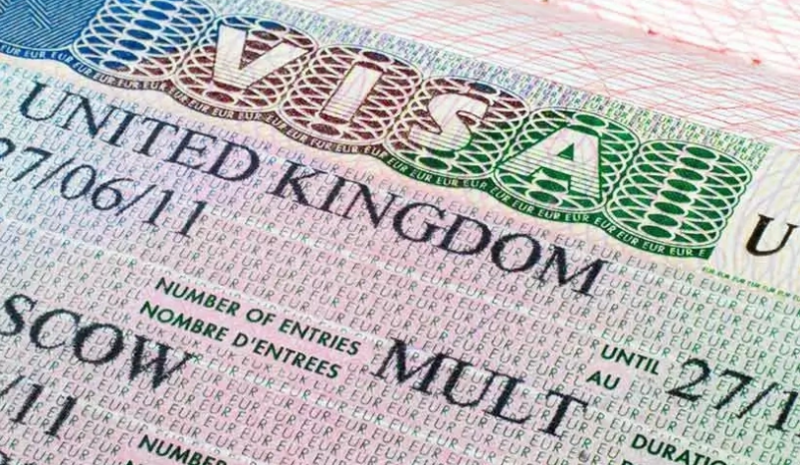 If you just want to get a general idea about the UK visa application fees and do not want to go through every single UK visa fee in Nigeria that can be found on the website we have mentioned above, we have your back. Below, you can find the most recent fees for a UK visa in Nigeria. However, bear in mind that, if you actually decide to go to the UK, you should check whether this information is still relevant by the time you need it. Without further ado, here some of the UK visa fees for Nigerians, both in USD ($) and NGN (₦). Short-term visa that lasts for up to six months will cost you $125 (₦45,000);Longer-term visa that lasts for up to two years will cost you $472 (~₦170,000);Longer-term visa that lasts for up to five years will cost you $857 (~₦308,500);Longer-term visa that lasts for up to ten years will cost you $1074 (~₦386,600). Visitors in transit have to pay $87 (~₦31,300) for their visa. There is also a short-term study visa. If you want to go to the UK to study for up to six months, you will have to pay $130 (₦46,800) for your visa. If you want to study English, then your visa fee will be $251 (~₦90,400). Visa for an academic visitor (up to a year) and dependant costs $251 (~₦90,400);Visa for PLAB/OSCE test, dental observation and clinical attachments costs $130 (₦46,800);Visas for diplomatic couriers, prospective entrepreneurs and permitted paid engagements cost $125 (₦45,000). Civil partnership or marriage visa costs $125 (₦45,000);Visa for parents whose children are at school (lasts for up to a year) is $694 (~₦250,000);Visa fees for child visitors are exactly the same as the fees for standard visitors. Course F visitors visa, which is a visa for members of foreign armed forces, costs $694 (~₦250,000). This fee is relevant for both the main applicant and their dependants. And last but not least, diplomatic passport holders and people who have received an official invitation from the UK government can get a UK visa for free. These are, of course, not all fees you can get in order to go to the UK. You can find the rest of them, as well as various visa application guides, on the website we have talked about before. Just a word of warning before you leave, the fees in naira have been calculated according to the exchange rate of 1 US dollar to 360 naira. By the time you find this article, the exchange rate might be different, so make sure you take that into account. That is all we can tell you about the UK visa fees for Nigerians. Remember, if you want to see the rest of the fees and have the most relevant information, go to visa-fees.homeoffice.gov.uk. We hope this has been helpful to you. Have a nice trip! 0 Response to "UK Visa Fees for Nigerians 2018"